i am a lefty: i'm [back] in japan! were there always so many people with surgical masks? and how come no one has one with a cartoony print on it? boring white seems so not japanese. 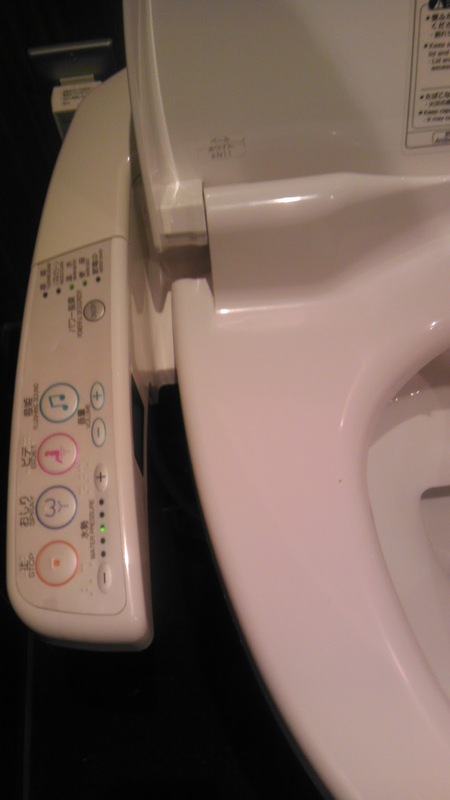 the toilets have improved vastly, from scary black holes as i knew them, in which i would alaways manage to pee on my shoes and pants (i still don't know how to squat in those things), which are now futuristic contraptions with more options than my telephone. i appreciate the fake tinkling pee sound (press the music note button), or the animated flushing to drown out your more natural sounds. and heated! anyway, i was unimpressed that my hosts who organized my flight and hotel didn't notice the 6 hour difference between my arrival and check-in time. so my first day in Tokyo was spent wandering in yesterday's underwear and zero sleep. in only a few hours i was delighted to find out that people still loudly slurp their soups, and hand you things with very deliberate finger gestures like they are hand models. lots of bowing. and, lots of no no no don't do that! oops.